This is a small selection of commercial interior and exterior architecture photography assignments. These shortlisted images are from various projects around the region. There are further links to view some of the full respective image galleries below. This is part of an architecture photography shoot and shows the main entrance to the Villa 78 garden. The entrance overlooks the sala as well as a private swimming pool. 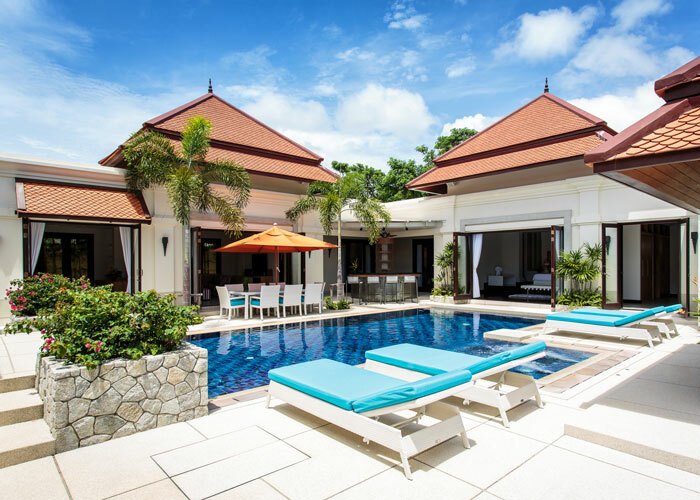 Villa 78 is situated on the outskirts of the serene Laguna Resort complex in the north of Phuket. This architecture photography project was a dream assignment. Located within the gated Sai Taan community, it is the perfect home away from home. Our brief was to capture all aspects of this idyllic venue. In particular, the style, luxury and likewise the facilities and services. Visit the Villa 78 Facebook Page to view the full image gallery. In addition to architecture photography, the client was also looking for a Singapore based web design company. They wanted an online presence to showcase the facilities and services on offer. Our brief was to create a responsive web design to promote the villa and increase bookings. The website had to be clean, elegant and user friendly. 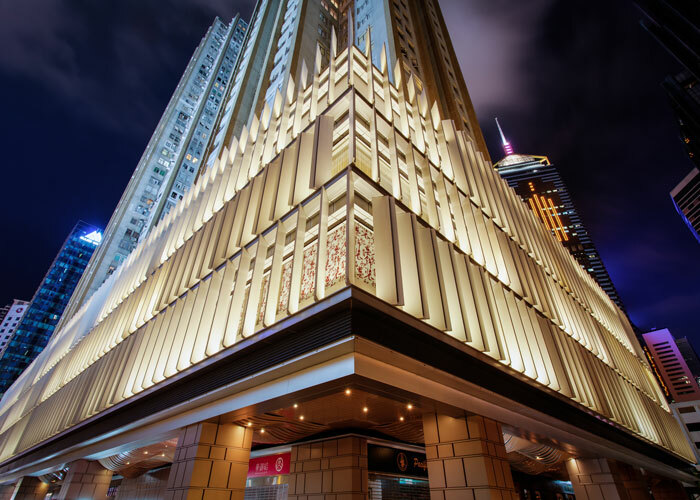 This facade was part of a 5-day shoot in Hong Kong. Our brief was to capture Creative Lighting Asia (CLA) architectural lighting projects. The aim was to demonstrate the vast range of interior and exterior architectural lighting services at their disposal. CLA had been a long-term client since we collaborated on their new company logo design. We developed their corporate brand a few years earlier. This also included the rebuild of their website and support with social media marketing.